The Allegheny Mountain Section of the Air & Waste Management Association Young Professionals (YPs) are a group of professionals 35 and under who live and work around the western Pennsylvania and West Virginia areas. We get together every other month for happy hour and social activities to network. Our goal is to provide YPs with tools and resources necessary to help them transition into the professional field. 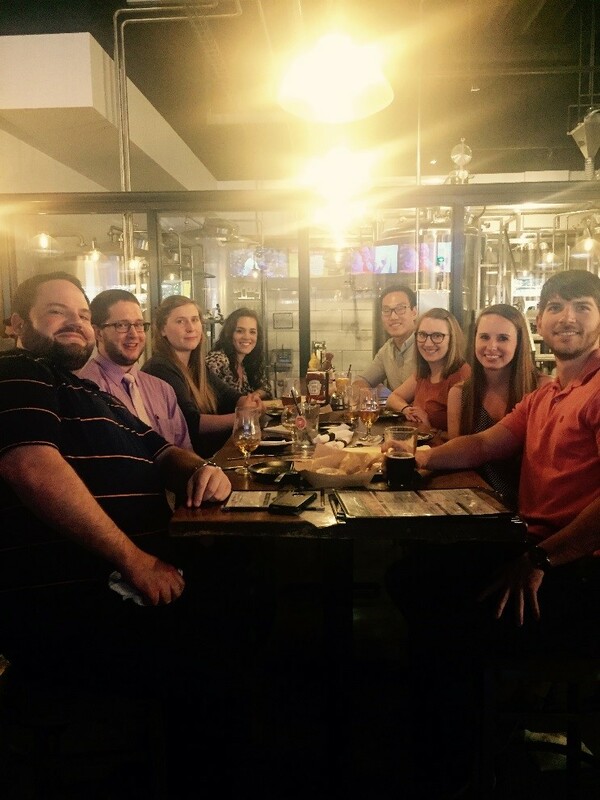 Click here for upcoming YP events! Young Professionals Committee Proudly Presents…the 2019-2020 Giveaway! The Air & Waste Management (A&WMA) Allegheny Mountain Section (AMS) Young Professionals (YP) Committee will be giving away TWO exciting prizes! Winner will be announced on March 7, 2019 at the YP Monthly Happy Hour! If unable to attend Happy Hour, winner will be contacted via email and must respond within 24 hours to claim prize. Winner will be announced in May of 2020! Winner will be contacted via email and must respond within one week to claim prize. All A&WMA AMS Young Professional members are eligible! ** All you need to do is earn points by attending A&WMA events! Any National A&WMA event = 20 points! Thank you to CEC for the Penguins tickets donation! For your points to be added, participants must email Lizzie Rubenstein (lrubenstein012@gmail.com) and Laura Dickson (ldickson@cecinc.com) with proof of event attendance after each event. **Non-members will earn points as well but must be able to show proof of membership by March 6, 2019 to be eligible for the Penguins tickets and by May 2020 to be eligible for the ACE 2020 Registration. The Young Professional Advisory Council (YPAC) consists of YPs from all around the country. Their goal is to provide resources that can benefit YPs at any age! Click here to view the YP Toolkit and learn about what the YPs can do for you and how to get involved!